The best way to manage all of your company’s Health, Safety and Environmental needs. HSE On Demand enables clients to monitor their employees’ HSE performance, create accountability, and manage an effective safety program without the costly expense of an inflated HSE staff of field safety employees and consultants. We support and educate your onsite supervisors to manage day-to-day HSE duties effortlessly with our forms and client portal. While insuring your company maintains federal and state compliance by consulting our HSE professionals when you need it. We provide access to a world class safety support team. 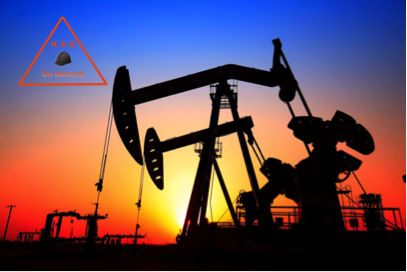 Consisting of HSE field support subject matter experts in the Oil and Gas Industry covering your company from Drilling, Production, Fracking, Workover, Support Services, DOT and General Construction fields. Contact us now for instant access to state of the art technology and years of industry experience to support your field supervisors and employees as we guide them through critical Health, Safety, and Environmental issues such as incident notifications, case management, immediate action response, reporting, and investigation. Monitoring all of your critical safety issues with real time HSE advice on current conditions from our smart phone APP could not be any more convenient.